March 20th, 2007 | Author: Dave Q. 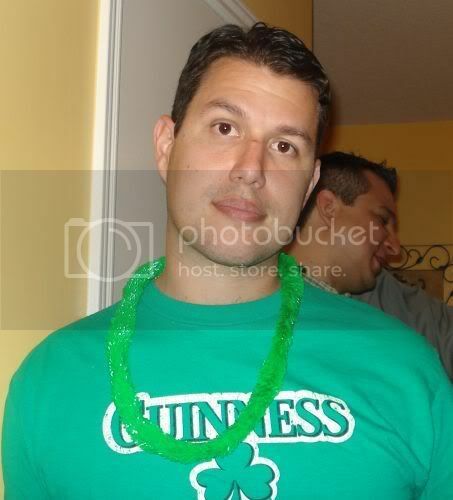 So I went to a party on St. Patrick’s Day. I figured this wouldn’t be so bad. There would be beer and other forms of alcohol, but not to the extent of a bar on St. Patty’s Day. So I went there with an attitude of “have a good time no matter what”. Well, I never realized how critical a couple of drinks are in the spirit of having a good time. I’m not saying you can’t have a good time without alcohol, but when you are the only one not drinking, it feels like you’re missing out. And if you say something less than intelligent, which I’ve been known to do, you don’t have alcohol to blame. Damn. So I’m saying it now. I won’t be giving up alcohol for Lent next year. And if I do have that thought, I hope someone hits me in the head with a 9 iron. It is just a lousy time to not be drinking freely. Maybe next year I’ll give up something that I don’t do now. Like coffee. I don’t do coffee. So that won’t be hard. This weekend my little sister went to a rodeo in Houston. She lives in San Diego. She flew into Houston for a rodeo. A friggin’ rodeo!! I don’t even go to the rodeo when they have it here! My brother-in-law is a cowboy. No joke. Well, it’s more of a side job now I guess because he is also a Medic in Iraq. But the influence he has had on my sister is unbelieveable! She is now all about country. I remember when she used to like Depeche Mode and The Cure. No, wait. That’s the other sister. This one used to like Olivia Newton-John. I know people have different tastes. But what is the big appeal about the rodeo? I went once and all I can remember is that it smelled bad. Shania Twain was there and she did help distract me. But let’s face it, she’s not going to be there every time. Anyway, my parents met up with my sister in Houston to give her a laptop I had for her. She is in grad school and needs it to do whatever it is grad students do. I hope she gets some good use out of it, ends up getting her masters, which will lead to a PhD, which will lead to lots of money, which will lead to really cool gifts on my birthday. I just pray it doesn’t lead to her doing some online shopping for saddles and rocky roads. Or rocky mountains. Or whatever they call those cowgirl jeans.